Huma Abedin’s first cousin, Omar Amanat, 44 and an associate were convicted of Fraud on Tuesday for deceiving shareholders in their tech company by falsely inflating revenues. They face a 10 years in prison at his scheduled April 25th sentencing. 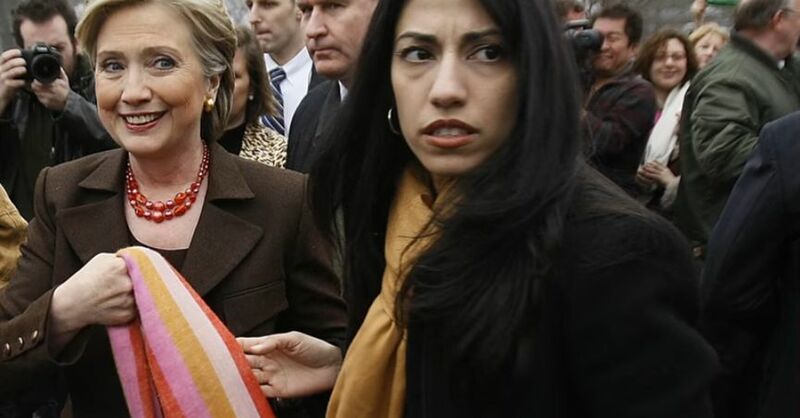 Notably, the jury was “not permitted to hear a recorded telephone conversation in which Amanat tells a government cooperator that his first cousin is Huma Abedin, a former aide to last year’s Democratic presidential nominee, Hillary Clinton,” according to the Associated Press. Amanat and his partners deceived shareholders of “Kit Digital” between 2010 and 2012, falsely inflating revenues to hide losses. During the trial Amanat introduced fabricated emails as evidence. Ironically, court documents also reveal Amanat tried to destroy evidence before the trial – asking his brother over email to “delete all of my emails from the yahoo site,” over concern that they might be subpoenaed at some point. Amanat was ordered immediately jailed by US District Court Judge Paul G. Gardephe after U.S. Attorney Andrea Griswold argued he was a flight risk, due to the “substantial” sentence likely to be handed down. Another first cousin of Huma Abedin Irfan Amanat, was charged on December 5 in Manhattan Federal Court in the KIT Digital case. He was busted by The SEC in a separate case for tricking the Nasdaq exchange into giving him $50,000 with a computer program he wrote. And as Luke Rosiak of the Daily Caller reports, in 2013 Omar Amanet partnered with businessman Vladislav Doronin, known as The Russian Donald Trump, to buy a luxury resort for $358 million. An in-depth 2014 profile in Fortune magazine says Doronin is “referred to in the British press as the ‘Russian Donald Trump.’” Dorinin was born in what was then Leningrad before moving to Geneva to work for Marc Rich, a financier who fled the U.S. after being indicted for fraud and trading with Iran, and was pardoned by former President Bill Clinton on Clinton’s last day in office. “Clinton’s motive for pardoning Rich on his last day in office was questioned,” USA Today reports, “because Rich’s ex-wife, Denise Rich, was a wealthy Democratic donor who made a $450,000 donation to Clinton’s presidential library foundation and more than $100,000 to Hillary Clinton’s Senate campaign.” The pardon was investigated by the FBI in 2001. After Doronin and Amanat parted ways, Doronin began calling Amanat a “serial swindler,” who forged signatures on million dollar contracts. As the Daily Caller also reports, Amanat was permanently barred by FINRA in 2008 “from associating with any FINRA member firm in any capacity” for repeatedly failing to disclose legal judgments and an SEC investigation. In 2002, he sold a company called Tradescape for $100 million to E*Trade, which charged that Amanat hid that before it was sold, the company had “no money! Zero. Zilch. Nada… We can’t pay any of our bills,” as one employee wrote in a contemporaneous email, according to the Forbes piece. At one point after having declared bankruptcy, a creditor attempted to seize Amanat’s house, when Abedin’s cousin allegedly backdated a document claiming he had sold the property to his brother for $10 the prior year. The scheme didn’t work and the house was sold. As a side-note, there also lies an interesting connection; Doronin, one-time business partner of Huma Abedin’s cousin, Omar Amanat, worked for financier Marc Rich (deceased). And who else worked for Rich? None other than Dan Gertler – one of the 13 “corrupt” or “serious human rights abusers” listed in President Trump’s new Executive Order. As we reported earlier this week, Gertler – an Israeli billionaire mining magnate, was revealed by the Paradise Papers to be chief negotiator between the Democratic Republic of the Congo (DRC) and his primary business partner – mining company Glencore, founded by none other than Marc Rich – the former employer of Omar Amanat’s money man – Vladislav Doronin. And there you have it – a particularly bad December for a few colorful characters – most, if not all of whom are only a few degrees of separation from the longtime core of the DNC.